inReach Mini is your go-to connection for maintaining off-the-grid contact. It’s our palm-sized satellite communicator for adventures where size and weight matter. 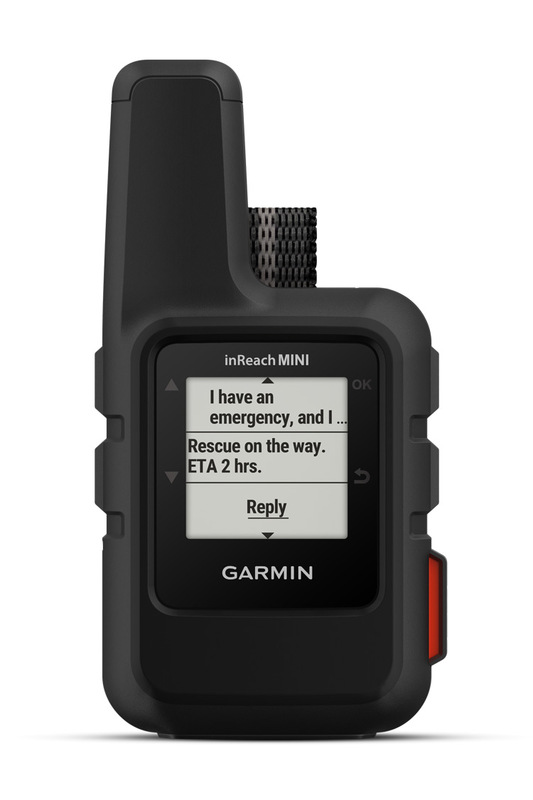 inReach Mini lets you send and receive text messages, track and share your journey and, if necessary, trigger an SOS alert to contact the GEOS 24/7 emergency response team. With inReach connectivity, your family and friends will know they can stay in touch globally. Measuring just under 4” tall by 2” wide and weighing a mere 3.5 oz, inReach Mini is fit for exterior pack pockets or accessory loops. It connects for messaging via the 100% global Iridium satellite network. You don’t have to worry about being within range of a cell tower or encountering spotty coverage. Who will answer your SOS? GEOS will. GEOS is the world leader in emergency response solutions and monitoring. They’ve supported rescues in more than 140 countries, saving many lives in the process. And they’re standing by 24/7 to respond to your SOS, track your device and notify the proper contacts and emergency responders in your area. Once you’ve triggered a distress signal, you can expect a delivery confirmation that help is on the way and be continually updated on the status of your response team. 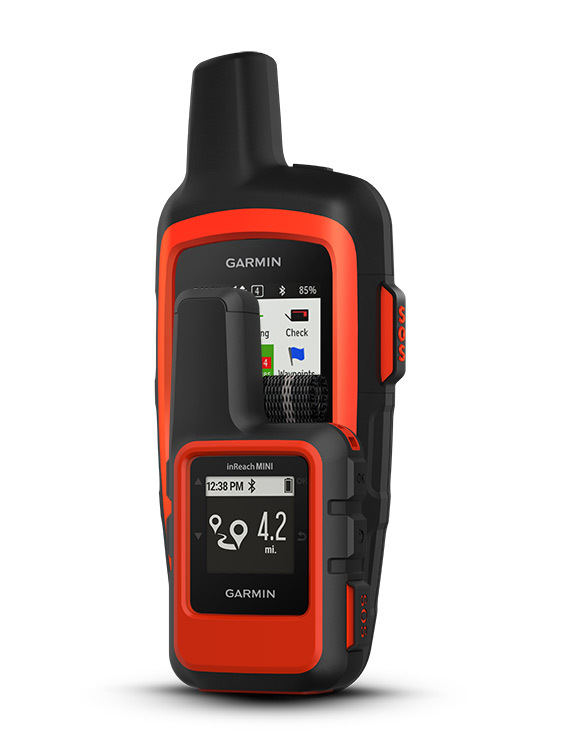 Wireless unit-to-unit connectivity lets you remotely control inReach Mini to send and receive messages using compatible Garmin handhelds, wearables or other mobile devices. GPS-based location tracking lets you share your whereabouts with those at home or out in the field. You can also post your adventures on social media. For basic navigation, there’s a compass that shows bearing and distance along a route or to a waypoint. For even more capability and convenience, the free Earthmate app syncs your inReach handheld via Bluetooth® wireless technology with your compatibleApple® or Android™ device so you can access unlimited maps, aerial imagery and U.S. NOAA charts. Plus, Earthmate allows you to conveniently use all of the inReach features on your paired mobile device. For easier messaging, you can also access your phone’s contact list from the Earthmate app to connect with fewer keystrokes. In the aviation world, inReach Mini becomes a valuable air communications link. When paired via Bluetooth to a compatible tablet or smartphone running the Garmin Pilot app, your inReach Mini makes it easy to send and receive text messages while in the cockpit — even from areas without cellular reception. The app pulls in your smart device’s contact lists, so access is simple and seamless. And since your inReach Mini is also a handheld GPS, Garmin Pilot can leverage its rock-solid position source to drive a georeferenced aircraft position symbol on your tablet’s moving map display. 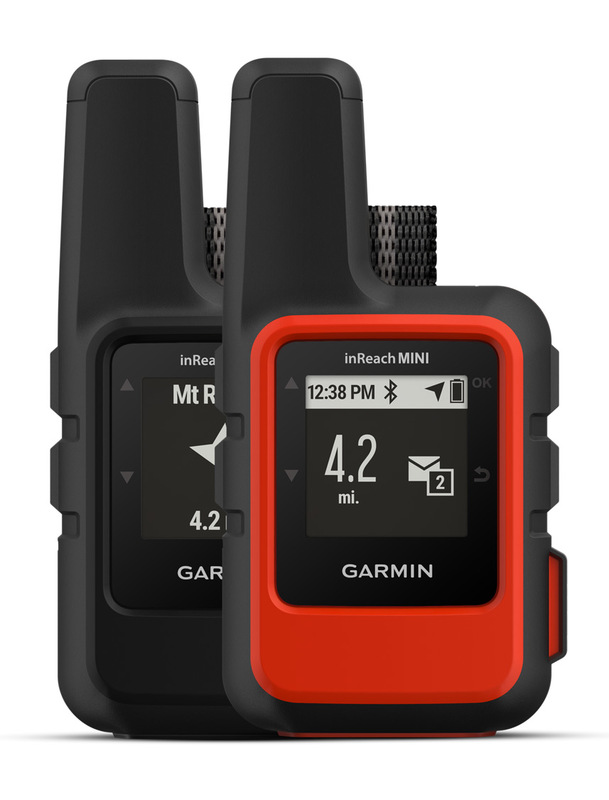 Also, for your followers on the ground, inReach Mini can provide tracking of your flight, using the web-based MapShare™ page created for your inReach account. You can also link via Facebook® or Twitter®. Your inReach Mini is also a supported device for the Lockheed Martin Flight Services (LMFS) Adverse Condition Alerting Service (ACAS), Surveillance-Enhanced Search and Rescue (SE-SAR) and Enhanced Special Reporting Services (eSRS). If you register for ACAS information, alerts provided via LMFS prompt you to call for an abbreviated briefing to address any specific adverse condition situation that might affect your flight-planned routing. Likewise, automatic monitoring provided by the SE-SAR service enables the system to identify potential flight emergency situations and/or signals to promptly initiate search and rescue procedures for your aircraft. The optional inReach weather forecast service provides detailed updates directly to your inReach Mini or compatible device paired with the Earthmate app, so you’ll know what conditions to expect en route. Basic and premium weather packages are offered. And you can request weather forecasts for your current location or any other waypoint or destination on your itinerary. Tough, durable, impact resistant (MIL-STD-810F) and water-rated to IPX7, inReach Mini is built to keep you up and running. It includes an internal, rechargeable lithium battery for up to 50 hours’ use at the default 10-minute tracking mode and up to 20 days in power saving mode. Recharge via the microUSB power cable or optional in-vehicle 12-V charger. To access the Iridium network and communicate with your inReach Mini, an active satellite subscription is required. Depending on your usage level, you can opt for an annual contract package or flexible month-to-month airtime plan. 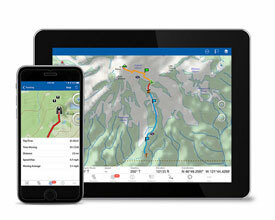 Every inReach device comes with free access to the cloud-powered Garmin Explore website to plan your trips with routes and waypoints, create preset messages and quick texts, sync and manage your device settings, update your firmware, link your social media accounts, store all your location tracking data and much more. The Bluetooth word mark and logos are registered trademarks owned by Bluetooth SIG, Inc. and any use of such marks by Garmin is under license. Apple is a trademark of Apple Inc., registered in the U.S. and other countries. Android is a trademark of Google Inc. The World's smallest Personal Locator Beacon and your worldwide link to emergency services.